Get real results with a fun group of people. Great Workouts and Top notch Coaching. We workout as a team and push each other to succeed. Why workout alone when you can make it a team effort. Try a Free Week of Workouts. Sign up below to claim your Free Week Pass. We offer two classes. HIIT, an interval based conditioning class, and LIFT, a weightlifting focused strength class. We keep the intensity up, the motivation flowing and coach good form. We workout as a team and push each other to succeed. Why hire a Trainer? Professional guidance, accountability, and motivation. Everyone has a busy schedule with plenty of other things to stress over. You don’t need to stress over your workouts. Let us do that! Start from the beginning and learn the fundamentals or jump in for one of the toughest workouts you can handle. Its up to you. 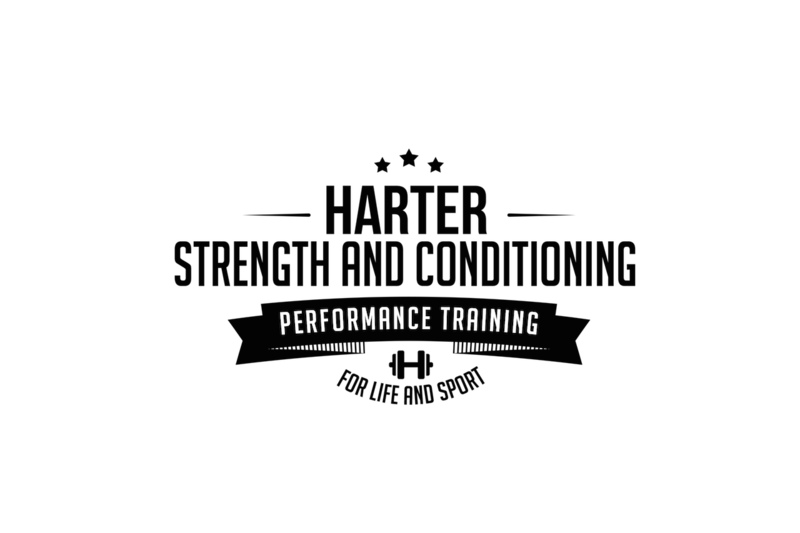 Harter Strength and Conditioning offers Personal Training and Group training. Our program supports all levels of individuals looking to take their fitness programs to the next level. Our training systems are designed to maximize performance and help anyone train like an athlete. Our workouts are great for weight loss, building strength, injury prevention, cross-training for runners ,youth sports development, and overall fitness improvement. We also work with athletes to support college and professional off-season lifting programs. Cody Harter is a lifelong coach and competitor. He founded Harter Strength & Conditioning in 2014 after 10 years of coaching and training in various organizations. As an athlete Cody has competed in Football (Defensive Back), Track & Field (400m,800m, & Pole Vault), Golf, & Brazilian Jiu Jitsu. Cody also served in the Marines from 1999-2007 as a unit armorer. Cody created Harter Strength & Conditioning to bring performance based training into a small gym boutique setting. He wanted to create a top notch training program with a team environment. As a coach, he encourages everyone to find an avenue of competition that matches your fitness goals. It can be as simple as running your first 5k or as an intense as training for your first boxing match. His philiosphy is to create a hobby that matches your goals and see where it takes you. Additionally, many people arrive already participating in a sport and are looking for an edge. Alumni from Harter Strength & Conditioning have been recruited to Cornell, Dartmouth, George Washington, UMASS Boston, West Point, Texas A & M, Texas, and many others. Other Alumni include a contestant on NBC’s the Biggest Loser, Business Executives, Military Personnel, Police, Fire Firefighters, and people from all walks of life looking to reach their fitness goals. Cody has also written articles for Men’s Fitness, Shape, Total Beauty, Bite sized wellness, and contributed as a guest writer on many blogs. What is “Strength & Conditioning”? This isn’t a fad. This is real training that works. You will get stronger, leaner, faster, and feel the benefits of performance based training. Every college and professional sports team has a Strength & Conditioning Department. The job of the Strength & Conditioning Coach is to build the workouts for each team relevant to the demands of the sport and lead the teams through those workouts. Athletic based training is different than fitness. It isn’t based on fads or whats in at that moment. It’s based on years of research and real world application. Training systems are tested in a lab setting and published in academic journals. We don’t build workouts based on the latest fad. We build them based on what works. You don’t have to be an athlete to train with us, but you will feel like one after you do!